Have you ever really thought about food, what you’re actually putting in your mouth? Have you been swayed by the packaging of a new, organic product that is ‘good for you’ but involves paying that little bit more? Is it better to buy locally? Should you be a vegetarian? Do you value ‘superfoods’ or keep to your grandmother’s recipes? 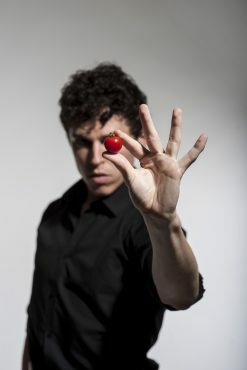 Award-winning dance company Protein is coming to you with a playful yet thought-provoking evening of dance theatre, based around our relationship with food and eating. Your hosts, Sonya and Carl, will welcome you into a dining area filled with themed tables and serve you a show that brings food to life. You are invited to bring with you some food that you have made, grown or bought – something with sentiment that you wish to offer and share.